Premier League champions Chelsea lost the FA Cup final to Arsenal in May. Blues goalkeeper Thibaut Courtois is hoping that Arsenal will be without Alexis Sanchez when Chelsea face their North London rivals in the Community Shield final on Sunday, according to the Daily Mail. Chelsea face the FA Cup winners on Sunday two weeks after beating the Gunners 3-0 in Beijing during their pre-season tour of the Far East. Yet, despite having outclassed Arsenal last month, the Blues goalkeeper is wary of the London club and one player in particular, admitting that he would be glad to avoid facing Alexis Sanchez. ‘I’d prefer if he (Sanchez) doesn’t play because he is a good player!” admitted the keeper in an interview with the Daily Mail. The Arsenal star missed Arsenal’s pre-season tour after being given extended holiday after representing Chile at the Confederations Cup in Russia. However, the Chelsea number one did continue, admitting that Sanchez’s absence would not necessarily guarantee a Chelsea win on Sunday. “But we cannot only look to him. 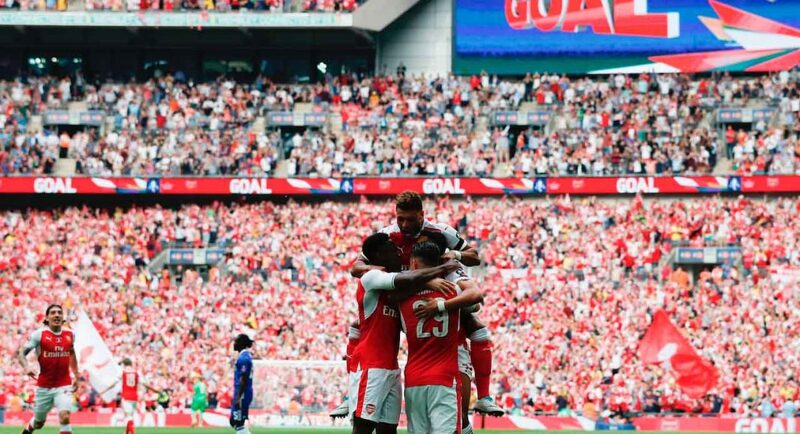 For example in the FA Cup Final (Arsenal beat Chelsea 2-1 in May) they missed some defenders and everybody thought they would be bad. But Per Mertesacker played a great game that day. So you cannot look to the team as one player or another player.” added the Belgium international in his interview with the Daily Mail. We echo Courtois’ concerns. Sanchez is one of the best players in the country, it would be a major boost to our hopes of lifting the Community Shield if he was not to feature.